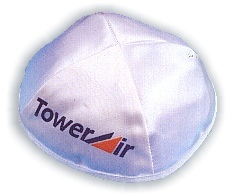 Satin kippa with corporate or institutional logo. An excellent give-a-way or memento. Available in white, blue or blue and white.